Every day, in their mission to maximize solar energy’s efficiency and minimize its impacts on the environment, NEXUS researchers amass large volumes of data. In the field, instruments record variables such as the intensity of the sun’s rays, rainfall, dust levels and the water content of soil. In the lab, scientists record the health of plants under specific conditions, how different sized pipes cool thermal plants and how waste heat from hydropower can be used for energy. To interpret their findings scientists have to inspect this vast amount of collected data. It is a process that, by necessity, relies on the capacity for data storage, tools for transmitting and sharing data and software to analyze the gathered information. Enter the NEXUS Cyberinfrastructure (CI) initiative, which focuses on providing the critical data management framework for conducting research at the nexus of solar energy, water and the environment. CI researchers build the tools for data collection and data processing to be used by both scientists and educators. After scientists collect vast quantities of data in the field, they need to process this information in the labs in Las Vegas and Reno. To manage this information flow requires a “central hub” that serves to accept incoming data and can be accessed for outgoing data. “At one end we have research sites and research labs and in the middle we have our network,” Dascalu says. The network then transmits the data to the Nevada Research Data Center (NRDC), which is based in UNR with an associate computing facility at the University of Nevada, Las Vegas (UNLV). The NRDC serves as the central hub for data in the Nevada System of Higher Education (NSHE) “Every five minutes we have about 900 new measurements and data is flowing into the NRDC as we speak,” Dascalu says. 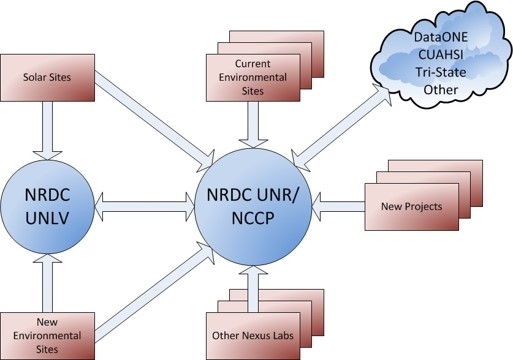 The NRDC is dedicated to supporting science and engineering research in NSHE by offering a data acquisition, data management, and research sharing platform. Currently it serves up data from a network of sites dedicated to the monitoring and recording of climate conditions in some of the most remote places in Nevada. These sites have sensors that record air temperature, humidity, precipitation, soil moisture, and a host of other variables. By the spring of 2018, the NRDC’s project databases included 3.2 billion individual data points as well as 4.5 million images. In early 2016, the NRDC joined the Data Observation Network for Earth (DataONE), a National Science Foundation funded cyberinfrastructure program. DataONE curates data, and provides data management and analysis tools for the greater scientific community. Supporting Science Discovery: The Nevada Research Data Center—Sergiu Dascalu and Frederick C. Harris, Jr. If the NRDC is the core of the web of support, the many strands that make up the web represent the lines of communication between different research sites and the central hub. To facilitate transmitting collected data to the NRDC, the CI team designed and installed new wide-area networking between three core NEXUS research sites and their associated locations. “Such connectivity has contributed to Nevada’s research and education missions by empowering researchers to install equipment in remote locations, access new data at any time, and monitor the status of their installations,” Dascalu says. The connectivity has enabled researchers to gather data and run experiments in-situ rather than in the lab or modeled environments. “It has greatly enhanced the understanding of real processes, including the interactions of climate, infrastructure, and ecology,” Dascalu says. To provide this service has required some cutting edge research in network communications. To transmit all the recorded data would be extremely time consuming and simply impractical, says NEXUS researcher Dr. Shahram Latifi, a professor at UNLV. Consequently, Latifi and his team have investigated data compression techniques: algorithms to reduce the amount of data that needs to be transferred and stored. To achieve this end, the team has used neural network models, which, if they are fed large quantities of data, begin to recognize inherent patterns and trends in the information. These models effectively accumulate knowledge about how a particular system behaves. Using that stored knowledge, the model can then make accurate predictions about what type of data it might see in the future in certain circumstances. “The way the compression works is you guess what the data is going to be and then you send only the difference between the predicted and actual values,” Latifi says. “If you’re right on, the difference would be zero and you have nothing to send.” If the prediction doesn’t match the observations all that needs to be stored is the difference between the predicted and observed result, not the entire new recorded data set. Using such a technique no information is lost in the compression. For such “lossless compression” typically the amount of data transferred is only reduced by a factor of two or three. But using the neural network model, the team has been able to achieve compression factors of eight or nine. “These compression ratios are phenomenal and should be able to save us lots of storage space and communication bandwidth,” Latifi says. As well as facilitating the transmission data for NEXUS scientists who are aiming to maximize solar energy efficiency or minimize its impacts on the environment, NEXUS CI researchers also use and process the data to solve scientific challenges in renewable energy. 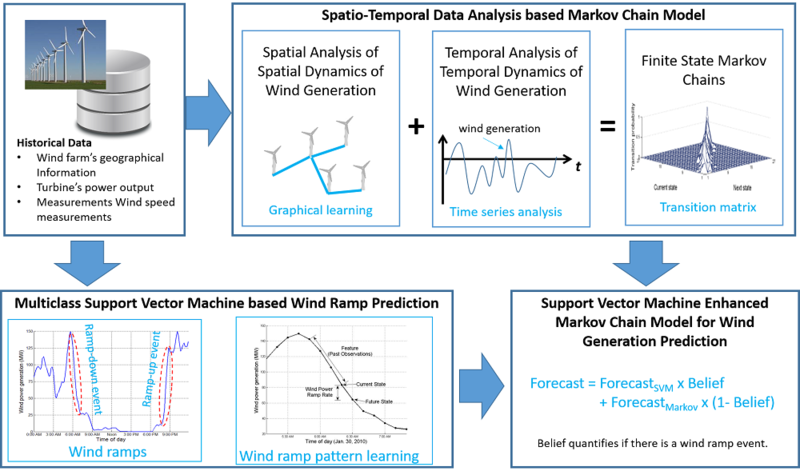 For example, NEXUS researcher Dr. Lei Yang, at UNR, has used a combination of big data analytics and statistical models to provide more accurate and therefore valuable estimates of wind power. Wind is a highly variable and intermittent source of energy, which means that integrating it into the power system can prove tricky. Power companies engage in a delicate balancing act, day in and day out, to balance energy demand and energy supply. NEXUS scientists Jiao Cheng, Mei Yang, Jacimaria Batista, and Yingtao Jiang from UNLV collaborating with Zhao Fu from the Nevada Water Authority have also developed a model to predict industrial wastewater quality. 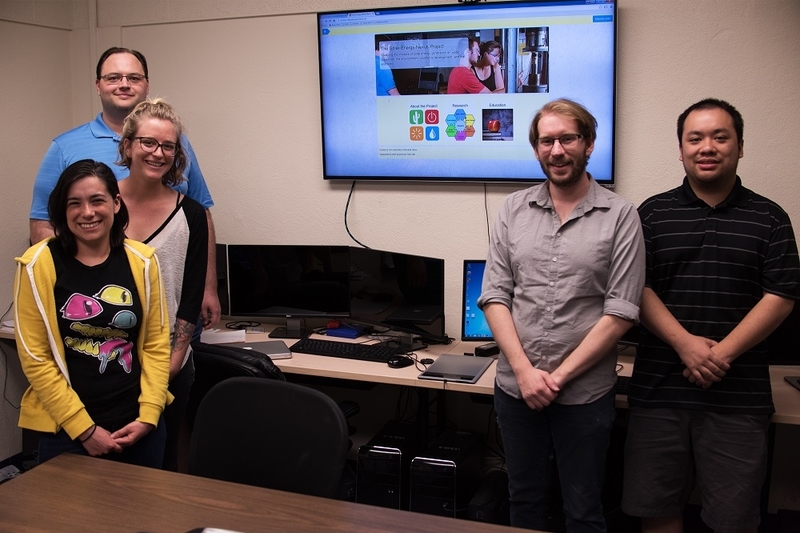 NEXUS scientists Connor Scully-Allison, Hannah Munoz, Scotty Strachan, Eric Fritzinger, and Vinh Le, all from UNR have developed software applications to advance modern data management practices. 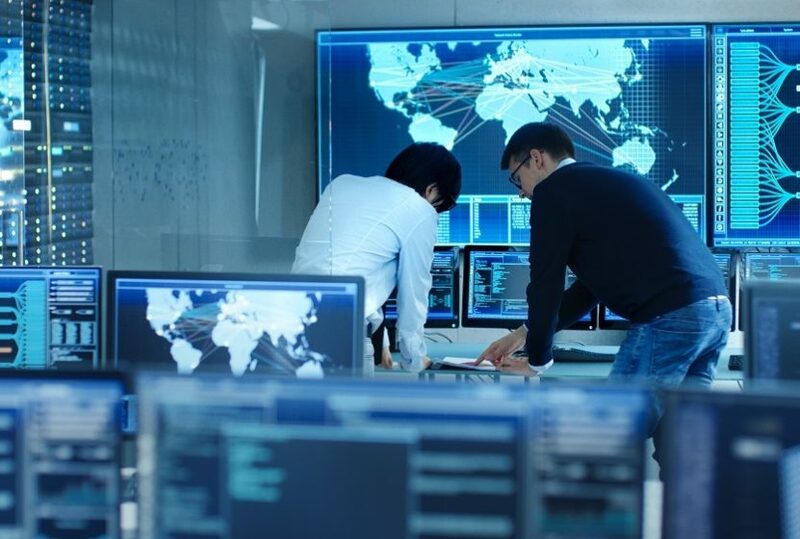 And, in addition to providing a foundation for the NEXUS project, CI researchers Fred Harris, Lei Yang, and Mehmet Gunes from UNR and Latifi and Juyeon Jo from UNLV have increased Nevada’s cyber capabilities for interdisciplinary research and education by developing advanced tools for data visualization, mining, and security. “Our CI project is important because it develops capacities that we didn’t have in the past in Nevada,” Dascalu says. He also notes that without the NRDC, the key CI component of the NEXUS project, earth science-related research taking place in Nevada would continue to be highly localized and relying on non-standardized bespoke solutions to commonly occurring data problems. “This traditional approach to data management without CI would stifle scientific progress by limiting the dissemination of critical data needed to reproduce research and perform new analyses,” Dascalu says. 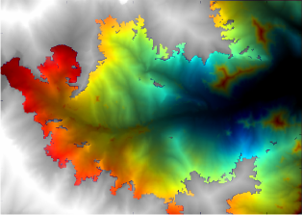 While the NEXUS cyberinfrastructure (CI) provides a framework for supporting science discovery, at its heart it is powered by skilled experts trained in computer science and engineering. Consequently, to keep the infrastructure healthy, the NEXUS CI team has provided many training opportunities for graduate students and undergraduates. By November 2018, eight NEXUS-funded students will have attained their PhDs, ten NEXUS-funded students will have attained their Masters, and more than ten undergraduate students will have worked on the NEXUS project in a CI role. The students have been involved in every aspect of the CI development including building applications for use by NEXUS scientists and engineers. For her Masters project University of Nevada Reno (UNR) student Hannah Munoz has developed a software analysis tool to estimate cloud and snow cover. A webcam takes image streams at various locations and a user can use the tool to select different sections of time to analyze and retrieve the snow and cloud cover estimates over that time period. Such estimates can verify and validate measurements taken by other sensors in the network and this type of project has contributed to enhancing the software available to environmental scientists seeking to quantify results from webcams in sensor networks, says NEXUS scientist Dr. Sergiu Dascalu at UNR.